In this article, learn how to manually delete a WiFi network on Windows 10/8/7 using Command Prompt and registry manipulation. If you’re using a lot of different WiFi networks on your Windows 10 and it sometimes get complicated, this article is for you. In such a case, you may need to erase some of the WiFi network profiles to get things simplified. But the problem is that Windows gives no direct option to completely remove WiFi network from your machine. You can however forget known WiFi networks to avoid automatic connectivity but the profiles are still stored on registry database. Using below mentioned registry manipulation, you’ll be able to remove WiFi network profile(s) completely on your Windows 10. 1. 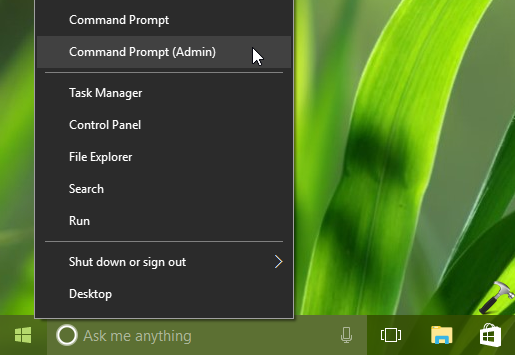 Press + X or right click on Start Button and select Command Prompt (Admin). netsh wlan delete profile name="<WiFi Profile Name>"
So this has delete WiFi network profile from network interface. However, the WiFi profile is still intact in the registry. Carry on the below steps. 4. 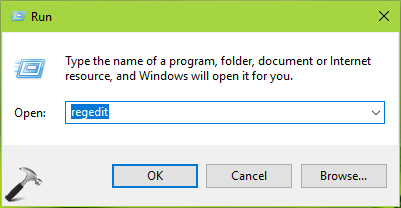 Press + R and put regedit in Run dialog box to open Registry Editor (if you’re not familiar with Registry Editor, then click here). Click OK.
Close Registry Editor and reboot to get the WiFi network completely removed.